“I could never do that” is the first thing I hear when telling people that my raw vegan lifestyle put all my health conditions into remission. I moved to the United States in my 20s and, like many on a budget, I was living on a diet of coffee, English muffins and whatever I could forage in the restaurants where I was working. Constantly sick and battling depression, I was just going through the motions, being strong and putting on the best smile I could. My friends begged me to try medication for depression. I developed PVC [premature ventricular contractions] arrhythmia as a result of two different medications, which didn’t stop even after I tapered off the medication. The third made me crazy and suicidal. 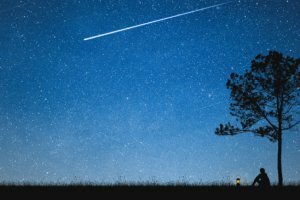 Finally, at age 30, I got diagnosed with Lyme disease—could this have been the cause of all my problems? Thrilled to have hope, I trusted my primary care physician when she put me on Doxycycline for three months. I was mostly bedridden with chronic fatigue at this point and was willing to try anything to feel better as it was hard to even work. I even lost a job because I was drinking so much coffee I couldn’t focus. The antibiotics didn’t make me feel better, and my next blood test showed more autoimmune diseases. I had developed fibromyalgia, and just being in the sun gave me pins and needles. I had lost everything I loved about life, and my insurance company refused to cover any more testing. I turned to the Internet in desperation. 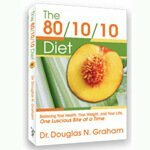 I first read about Doug Graham’s 80/10/10 diet lifestyle a few years back and decided it was too much fruit. Going vegan and gluten-free and adding daily green smoothies five years earlier hadn’t prevented me from getting sicker, but I did know that gluten caused me horrible pain and inflammation. Perhaps other foods were causing me issues, too. An elimination diet done twice gave me a miracle—on just fruits and vegetables I felt a little better! Still hesitant to jump right into fruitville, I started with six months on fruit all day and a grain-free, Eat To Live-style cooked dinner at night. It got worse at first, but after three weeks, I was suddenly up and out of bed. I felt much better than I had but still wasn’t healed. As spring turned into summer, however, my seasonal allergies were completely unmanageable, and someone suggested I try a 100 percent raw food diet. Sprouting and dehydrating just seemed like a hassle to me, so I tried 80/10/10 by the book. That’s when I got the miracle I had been praying for. Within two weeks, a massive pain had lifted from my chest. For the first time since the age of 6, I wasn’t depressed. I felt like I could fly! I couldn’t believe how good I was feeling so I started reading everything I could find about fruitarianism. Was it sustainable? What did I need to succeed long-term? Dr. Robert Morse, Arnold Ehret, Dr. David Klein, Don Bennett and others were wonderful teachers through books and videos. I joined some groups on Facebook and found others out there like me who had healed awful diseases through a raw, high-fruit vegan diet! This was incredible! The weeks turned into months, and every single health issue and ailment I had struggled with for years slipped away. My PVC arrhythmia was the last to detox out after three months all raw. A year ago, it was hard to walk because my knees were so swollen with rheumatoid arthritis. I now have no pain at all, have joined a new gym and run on a beach. The lower protein levels on the diet concerned me until I realized my endurance was through the roof. I surfed for seven hours one day, enjoying every second of it. I’m building muscle effortlessly. Most people as sick as I was don’t get a second chance. They don’t get out of that bed. I no longer need 15 hours of sleep a day to function. I have gone beyond the health of the average person to feeling wonderful all the time. Cooked food in any amounts makes me feel terrible, particularly grains and potatoes. Making mistakes in the beginning was just part of the learning process for me. My goal now is to enjoy life, and I feel grateful for my second chance! I try to eat three monomeals of fruit a day and then a giant salad or smoothie made up of wild edibles at night. Sometimes, I do all fruit or all juice to detox myself a little more. I never get bored with my food and find great deals at Costco, local farmer’s markets and Asian groceries. I feel more alive than I ever have. Aside from having no health complaints, I haven’t been sick once since going raw. My mind is clear and sharper than it’s ever been, and I have a much greater connection to nature and the universe. Unexpectedly, after years of deterioration, my eyesight is getting stronger! As for the future, there’s no food that tastes as good as being healthy feels, so my goal is to keep eating fruit and enjoying my superpowers. 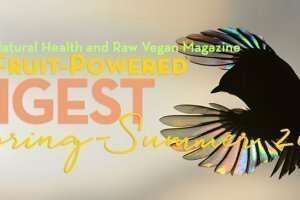 Discover Natalie Lenka’s Top 10 Tips for transitioning to a low-fat raw food diet! Hungry for more? 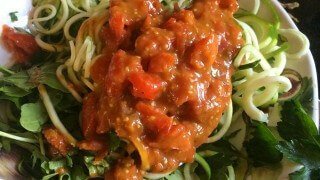 Check out Natalie’s Fat-Free Zoodles Marinara recipe! Natalie Lenka lives in New Jersey with her four dogs. 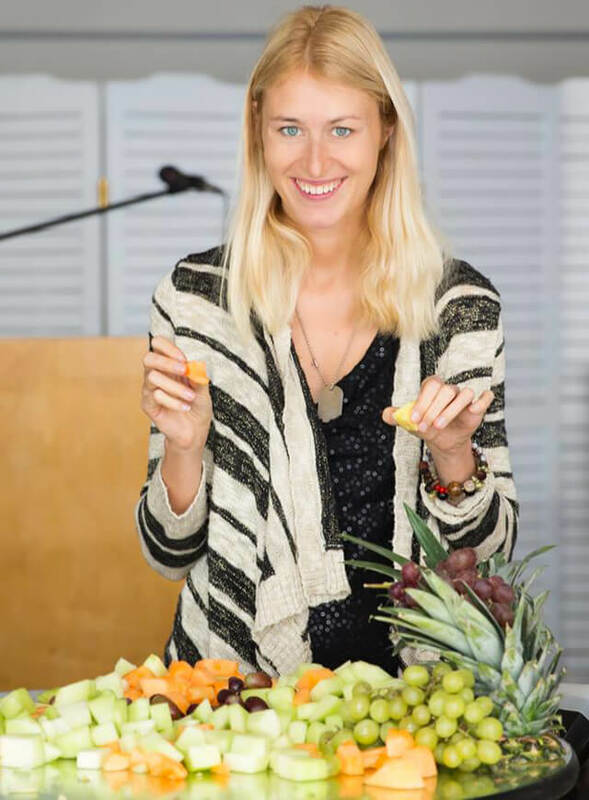 Having healed an array of chronic debilitating health problems ranging from autoimmune to depression and arrhythmia through a high-fruit raw vegan lifestyle, she is sharing her story to help others, who may be able to heal themselves through a natural diet. 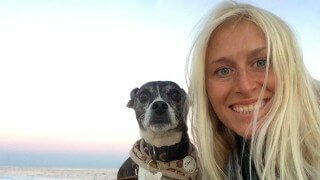 She is active and loves to surf, hike, bike and spend time in nature. 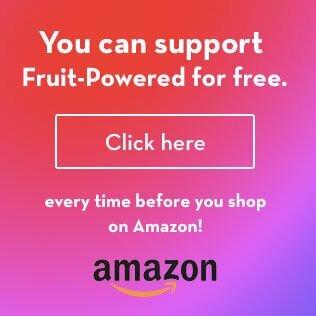 Visit Natalie's YouTube channel, Fruit Nat, and website, FruityHealing.com.